Humane Manufacturing Products | Mason-Dallas Inc.
Mason-Dallas offers Humane Products. Humane is the manufacturer of high quality molded recycled rubber mats and recycled rubber flooring products using a vulcanizing process which utilizes as its base ingredient post-consumer waste stream material, mainly rubber truck tire buffings that have never touched a landfill. 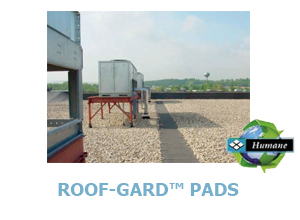 Roof-Gard™ Pads. Roof Gard Pads, Machinery Pads, Anti Vibration Pads, Anti-Fatigue rubber mats and rubber flooring. Straight Edge or Beveled Edge mats in several sizes as well as Loktuff™ flooring system.